We take great pride in our facility and know that you will too. Located at The Shul - the Jack & Miriam Shenkman Building, which is on over 2 acres of land, The Shul's Hebrew School has ample classroom space, outdoor activity areas and on-site parking. 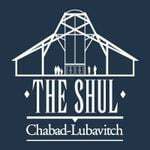 The Shul - the Jack & Miriam Shenkman Building is located in the heart of West Bloomfield at 6890 W. Maple Road, between Halsted and Drake. Our campus is handicap accessible.